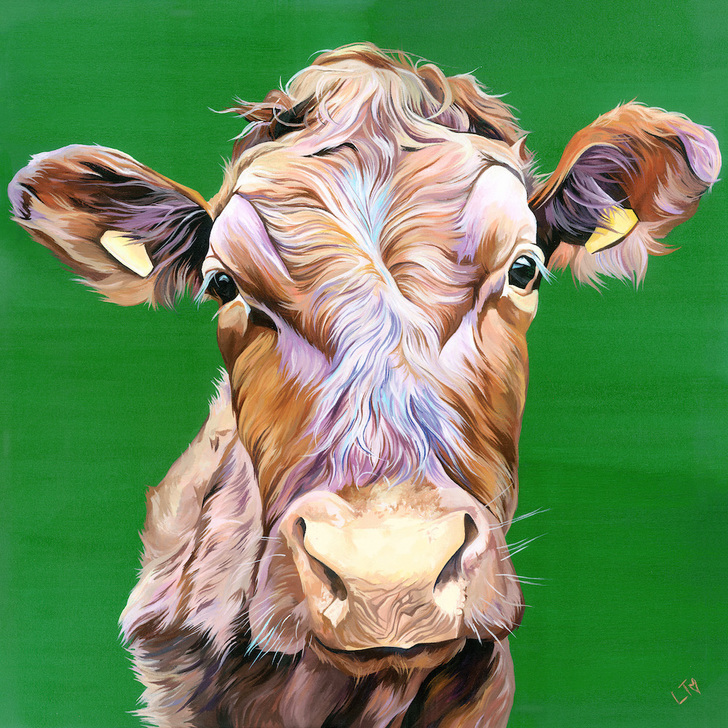 If you like art full of colour and life then you are going to love Limousin Bullock Copper. 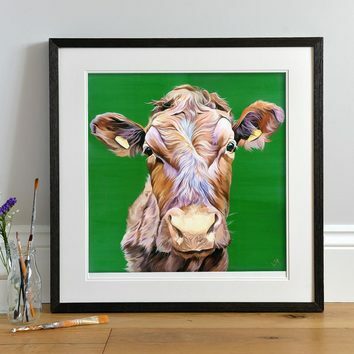 Originating from France Limousin Cattle are one of Britain's most popular beef Cows. They are a stunning breed with sleek red coats. I loved creating this painting, it's always a great challenge to see how many tones and shades I can get into coat, that seeminly is just one colour. And what goes better with Red than Green! This emerald green background certainly packs a punch on screen, but when you see the paper print in the flesh, you will see how wonderfully well it works. Trust me! 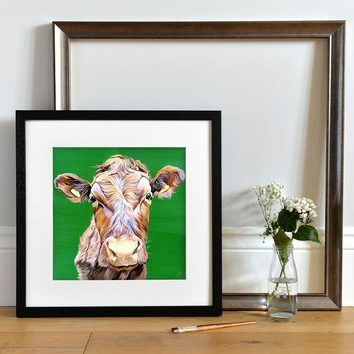 This picture is a big favourite with men, especially if you are looking for a gift for a farmer!